Joel and my 13th wedding anniversary fell during the week we spent at Myrtle Beach last month. On the very day of our anniversary our family was checking out Broadway at the Beach and came across the Pick a Pearl shack located there. 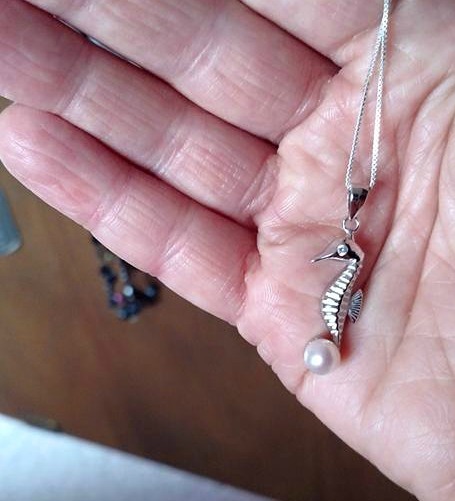 At Pick a Pearl you pick a pearl-containing oyster and a piece of silver jewelry (varying types of silver). You don’t know what kind of pearl you will get. These oysters are force-fed the necessary ingredients to grow a pearl. I was told not all wild oysters actually grow pearls but these are farm-raised to guarantee a pearl. 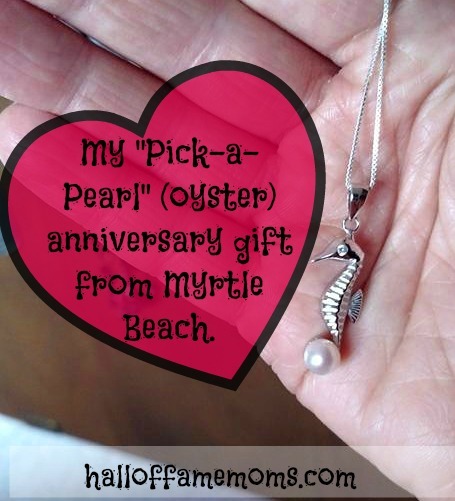 Below I share the video of my husband and boys picking my oyster and my conversation with the employee (a college biology student) about this pick-a-pearl process. I apologize now for any bad video and hope you enjoy learning something new and interesting! The ocean critters we caught to observe at Myrtle Beach. My review of the Hollywood Wax Museum & Entertainment Center. Thanks for watching and leaving a comment, Denise! I’m so happy you like your necklace! My friend found this and sent it to me! Awesome!!!! Oh, how cool! I’m glad you got to see it. Thank you, again 🙂 Good luck with your studies! I was wondering about how much this costed for you? I can’t seem to find a website for them, beautiful necklace by the way! Hi Chelsea, I think it was around $18-32. I can’t remember exactly.